Wow this book was intense! I am a huge fan of Aprilynne Pike- especially her fantasy series about fae. I knew two things about this book- it was going to be VERY different from her other books and that it was going to be an excellent read. I was absolutely right. 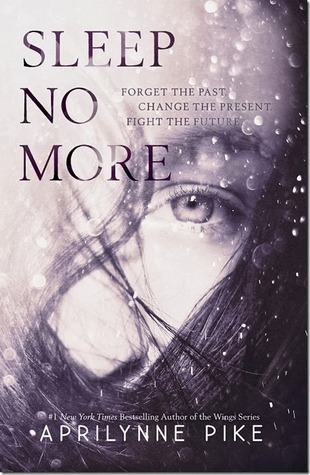 This book is absolutely a thriller- there are murders and a girl who can see the future and who is in way over her head. I liked Charlotte's character. We start the story finding out what tragic event in her childhood makes her personality the way it is. I thought Charlotte was instantly relatable and a voice that was easy to read. I found the story- as fanatisical as it was- to be absolutely believable. Everytime I thought I had the ending figured out, the author would put in another twist that would leave me confused. I am absolutely positive that this book is a standalone. I appreciated that- and I appreciated the way that she ended the story. This was such an exciting book to read, it makes me even more positive that I enjoy this author. If you are a fan of crime shows, the show Medium, or a good plot- you will love this story. I didn't even know she had a new book coming out! This sounds like a book I would love too. I like thrillers...sometimes. I have to be in the right mood for them, but it sounds really interesting. And it's a stand alone? Yay!